Enjoy an expansive view of your outdoor surroundings with a sliding replacement window from VARCO. All of our replacement sliding windows are made from uPVC or virgin vinyl to assure the highest quality. Using vinyl also makes our replacement sliding windows maintenance-free, meaning they will never need painting or scraping, and will not rot, chip or peel. Available in a wide variety of painted exterior colors as well as interior woodgrain and paint/stainable laminate options. Our sliding window frames and sashes feature fusion-welded construction to provide increased strength, durability and longevity. Mounted on brass wheels, our sliding windows smoothly glide horizontally across their tracks allowing you to open your vinyl replacement windows and enjoy fresh air with ease. 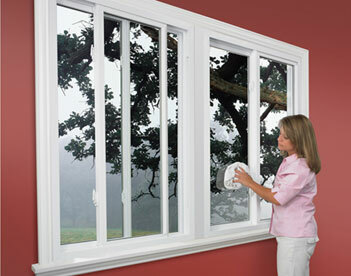 Plus, lift-out sashes make cleaning your sliding vinyl replacement windows a snap!